Hello, It’s Suzanne here today from Scrapbookingsue.com. Lately, I’ve become a little bored with the color of my scrapbook room walls. In fact, I have been thinking about painting them… a bold color! While searching around the web to see what other creative people have done with their spaces, I came across some amazingly bold scrapbook rooms. Since painting is something that many of us do ourselves, I thought that this would make a great Daring DIY segment! This first room is a vibrant pink. Not only are the walls bold and daring, but the pink accessories to highlight the space are just stunning. As someone who enjoys the color pink, I really love this space. Here are a couple of very creative walls! The colors and patterns complement one another, and the window art is exceptionally bright and colorful. A calm, serene blue is always a nice choice. Since scrapbooking and crafting are generally relaxing, this color sets the mood and tone for creative time. The green color of this next room is also very calming and earthy. The red and white accent pieces are a nice touch. Wow, these yellow walls are just so fun! Just as bright and bold as can be, this would be a very sunny and happy place to create. These light blue/turquoise walls are another calming color for a very busy room. I couldn’t resist adding another pink room! This room is pink all over, including the ceiling! Definitely for the girly-girl in all of us. These rooms are so beautiful, it makes my job of deciding on a paint color even more difficult! Have you recently painted your craft room? What color did you choose? It’s Cicily today with a quick tip. I found this great idea to catalog your washi tape and even see what it would look like on your craft projects! I created these 1.5″ x 3″ tags with clear plastic, ran a strip of each of my washi tapes on each of the tags. I punched holes using my crop-a-dile and attached them all to a large ring. Now I can see all my washi tapes (I sorted them by color) and can lay one of the tags right on my page to “see” what it would look like! I found this great idea from Studio Calico HERE. They used plastic microscope slides to create their tags. I was able to use a thick plastic that I cut with my paper trimmer, that my hubby had purchased from Hobby Lobby. I love creating projects from objects that I already have around the house! What do you think of these Washi samples? OK, Ceiling BUT “Roof” sounded SO good! Hallo, Hazel here with just 1 tip. 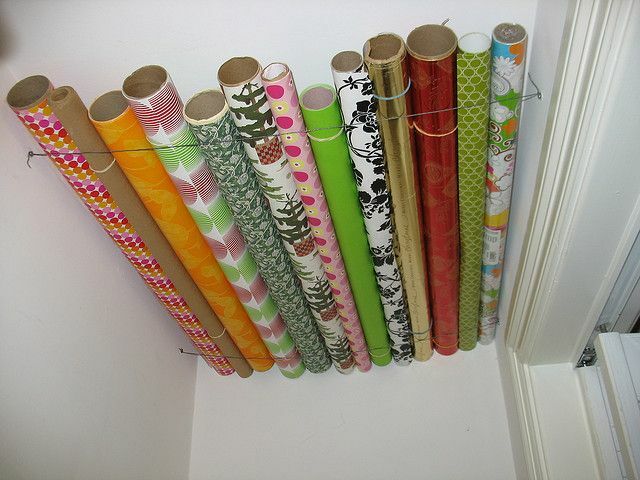 I’m downsizing and my stash of wrapping paper is getting the better of me. I don’t have any space left for more furniture / storage items so I revisited my DIY post on Craft Storage Ideas. No go!! Even this one by my fellow contributor, Cecile didn’t give me a solution. Back to my friend, Pinterest. And this is the one I’m going to try out!!! Hopefully, by the end of the year I’ll have everything sorted and then I’ll show my version. I do put my own touch to things so keep reading Craft Storage Ideas ……….. I’ll be back with my wrapping stash (and the solution). Thanks for joining me today. Have a GREAT day and remember to try something new – TODAY!! Hello, Hazel here all the way from Sunny South Africa to invite you over for a stroll around Blogland to look at pegboards. YES, I know most of us use them in our craft spaces but I found a few new ideas to share. First up. 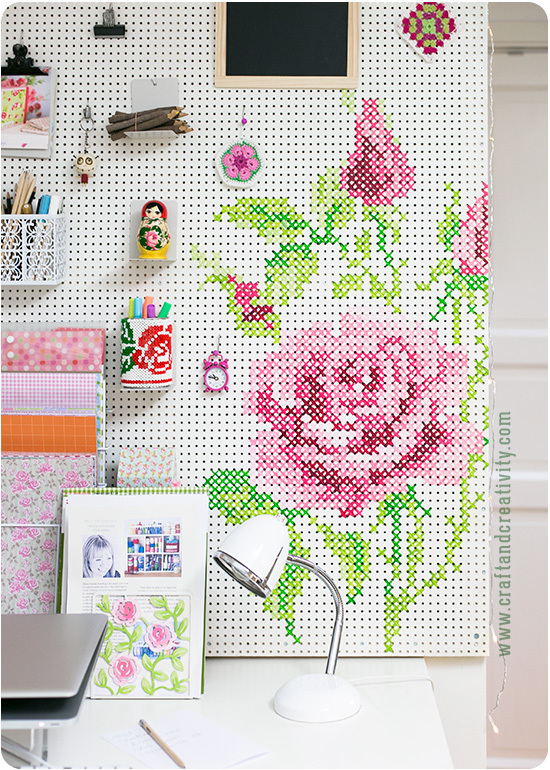 Ever thought of “zussing” up your board with cross stitch? Want to make your own box? Never too late to try something new. And if you are not a hardware fanatic, this trolley would fit into any craft room! Do you have some more funky ideas?? Please leave a comment or a link. I would love to see what you do. 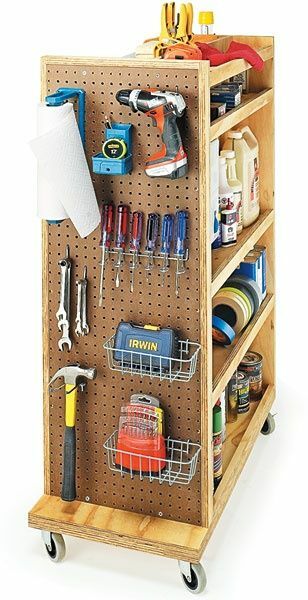 Thanks for looking at alternative ideas for pegboards with me today. I really liked having you around. Hallo, it’s Hazel and today I have a storage idea from my own cupboard to share!! This year, I decided not to buy ANYTHING new. I will use what I have on hand, recycle and repurpose in my quest for less clutter. The biggest problem was – I didn’t know what I had on hand!! From my local hardware store and before you think that I’ve bought a whole stash of these – I used 2 left over from my hubby’s garage upgrade last year. 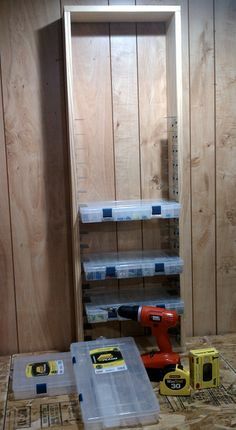 I love these as the dividers can be moved around. Much easier to clean (I wash them in the dishwasher!!) and if you have awkward shapes, you can fit them as well. I just stack them as the lids close firmly, even if they should fall, they will stay intact in their little cubicles. I think you will agree with me – I made a good call when I decided that “enough was as good as a feast” – this stash will last me a lifetime! I have a birthday coming up and I think Hamman HQ needs one of these. I’m off to show my hubby. Thanks for sorting paperclips with me today. It has been fun. If you have ideas you want us to feature, send us email or leave a comment. We’d love to see what you do. Love and Sunshine from Sunny South Africa. Just 1 Tip: Paint your Raskog!! Hallo to all my fellow storage enthusiasts. Once again, it’s Hazel all the way from currently not-so-sunny South Africa. Yes, winter finally arrived down under with lots of rain but in between – the most glorious days that you just HAVE to spend outside. A white Raskog!! 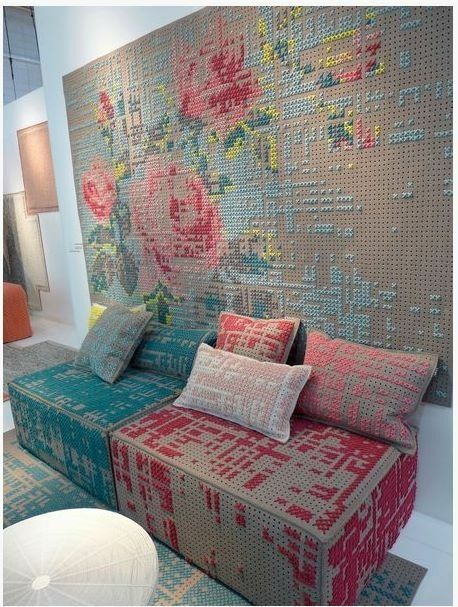 Ever wanted one to fit your color scheme? Cathy from “Hello. I’m a paper addict” tried it out and I love it. Hop over to see her original post here and to get all the inside info. Now, you have to excuse me …………………………. I’ve got some painting to do. Have a great day an please leave me and Cathy some comments. I would love to see and hear what you think and do. 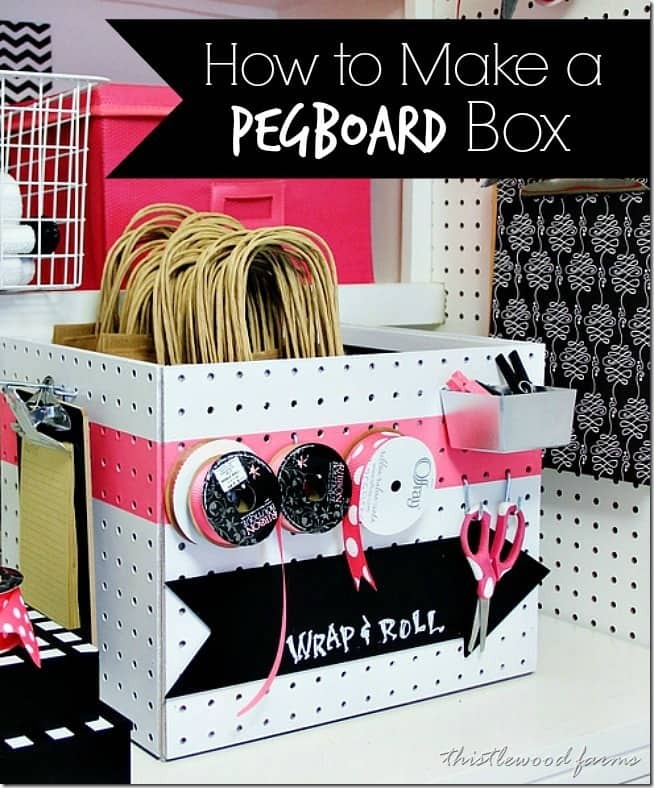 Author Hazel HammanPosted on June 25, 2014 June 23, 2014 Categories Just 1 Tip!Tags craft room, Daring DIY, DIY craft storage, ikea5 Comments on Just 1 Tip: Paint your Raskog! !